Synopsis Prayers Of The Last Prophet is the follow-up to the hugely successful The Life of the Last Prophet , and contains a collection of du’as (supplications) as used by the Prophet Muhammad. Narrated by Yusuf Islam and structured around phases of the day, these du’as cover a range of everyday activities seeking Allah‘s guidance. All are derived from Qur’an and Hadith and are fully authenticated. 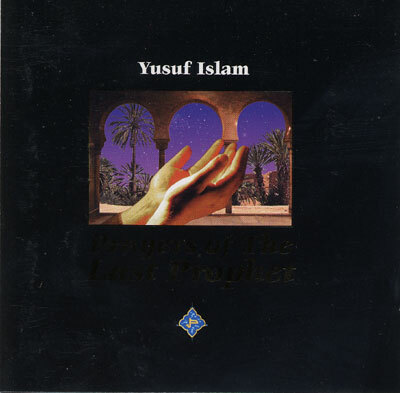 Prayers also contains Qur’anic recitation by the renowned Egyptian Qari’ (reciter) the late Sheikh Mahmoud Khalil Alhousari and features 3 new songs including Yusuf Islam’s 'If You Ask Me'. Prayers Of The Last Prophet is the follow-up to the hugely successful The Life of the Last Prophet , and contains a collection of duÆas (supplications) as used by the Prophet Muhammad.